Veteran actor #Richard_Gere is so impressed with the way director #Oren_Moverman works that he wants to team up with him again in at least five projects. "Oren's a very clever guy. 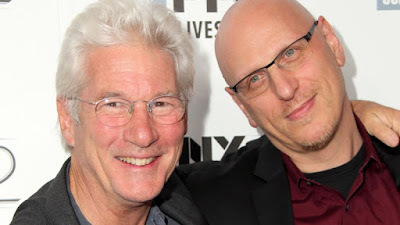 He certainly made his movie the way he wanted to," Gere told vulture.com. "And we're talking about doing four or five other things in the future, so I guess you're going to have to see us together again at some point," he added. The actor can currently be seen in the film "The Dinner", which revolves around two couples who are dining at an upscale restaurant and during the course of their meal their polite discourse disguises the fact that they are all struggling with family issues. The film also stars Laura Linney, Steve Coogan and Rebecca Hall.